Family Tours can be tailor-made to suit the needs for any family. 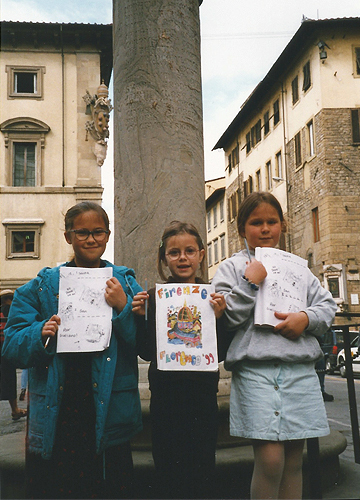 From toddlers to young adults, the best way to introduce the City of Florence is through activities and experiences. Reservations and advance ticket bookings will be made to ensure priority entrance on all tours. Tickets and the reservation fee can be paid for the day of the tour at the museum will call. As a reminder, these bookings are the only way to ensure priority entrance, however, in high season, there can be long waiting times even for priority reserved ticket holders. Tour Guides do not have priority entrance, but in some cases can help enter with tour groups and private clients before unaccompanied tourists. Tour Guides are free lance professionals and do not work for the city of Florence nor the museums.